The BMO Preferred Rate MasterCard currently has an Informr score of 9.8 out of 10. This score is based on our evaluation of 3 sources including reviews from users and the web's most trusted critics. 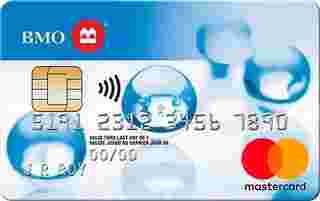 BMO Preferred Rate MasterCard is typically available to those with good credit scores (650 or greater). The BMO Preferred Rate Mastercard has permanently low interest rates so you don’t need to worry when you can’t quite make the full payment on time. With this card, you get BMO’s preferred interest rate of 11.9%. Credit card lenders typically only allow clients who are in good standing credit-wise to access this rate. And you get this benefit by paying a relatively low fee of $20. Plus, you only need a fair credit score to qualify (in the 575-649 range).